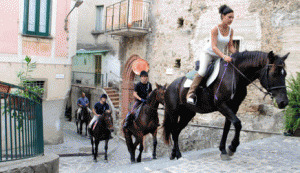 Magical horse riding holidays in the heart of Tuscany, Italy based on a historic wine and olive estate with a spa and Western style riding. 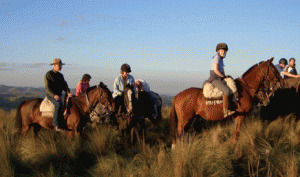 The only Machu Picchu Lodge to Lodge Horse Trek! Experience high comfort, cuisine and adventure on the Salkantay Route, one of the 25 Best Treks in the World by National Geographic Adventure Travel Magazine. 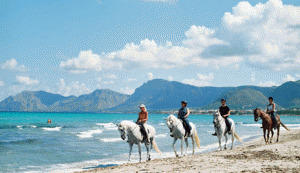 Ride among open fields, pine forests, sandy tracks and beautiful beaches and enjoy dressage training on award-winning Andalusian horses on the island of Mallorca (Majorca) in Spain. 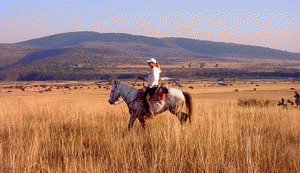 Voted Best Horse Safari in Africa two years in a row! Ride with a herd of giraffe or zebra across the plains, track elephant or buffalo from island to island, cantering and splashing through lagoons of Botswana's Okavango Delta. 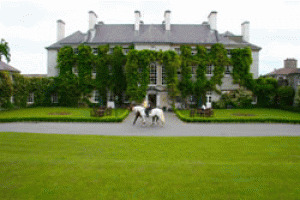 Stay at one of Ireland’s great castles still inhabited by its eccentric founding family and enjoy a dream equestrian vacation: Cross country course, indoor jumping arena, gentle countryside hacks, riding lessons for beginners and advanced riders, fine cuisine, cooking classes, the spa and fishing. Ride the magical Makgadikgadi Pans, which looks like the surface of the moon and has amazing wildlife migrations. 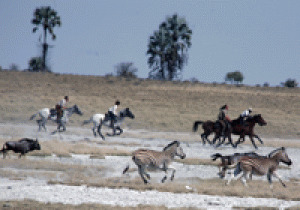 This is a great riding safari tour to combine with the Okavango Delta. 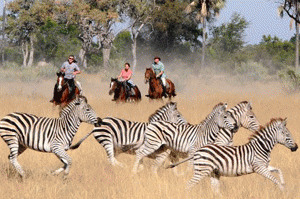 In the wet season, ride with herds of zebra and wildebeest and interact with meerkats year round. 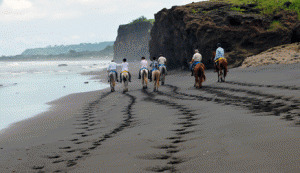 A fantastic horse-riding safari. 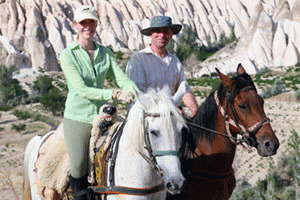 Horseback riding in Turkey to ancient villages and through the exotic fairy chimneys of Cappadocia. Camp our or stay in boutique hotels or pensions. Experience horse riding, golf, the spa and more at one of Ireland’s oldest standing sporting estates. Special lessons in flatwork, jumping and cross-country, fox hunting in Ireland and more. 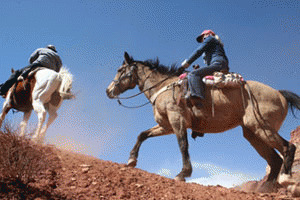 Horse riding vacations in Capitol Reef National Park, San Rafael Swell or combine riding with whitewater rafting with awesome backcountry outfitters in Utah Canyonlands. 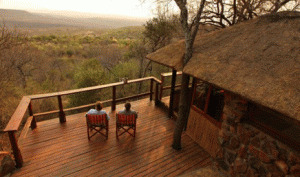 Customized horse riding safaris in South Africa at two different upscale lodges located on their own private game reserve in the Waterberg region of the Limpopo province. 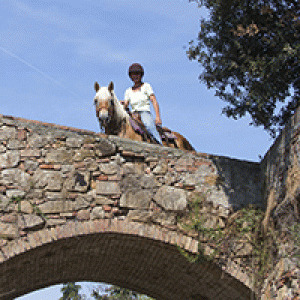 All levels of riders are welcome, as safaris are flexible and personalized. 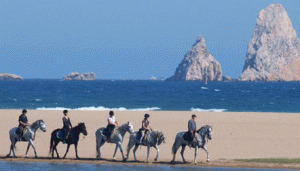 Inn to inn and stationary horse riding holidays in Spain through stunning mountains, medieval villages and pristine beaches on Andalusian and Spanish horses in the heart of Catalonia, not far from Barcelona. Lots to do for non-riding companions. 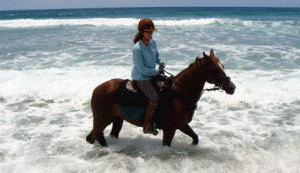 Horse riding vacations in Australia cantering along the beach, through tropical rainforest trails and into the wonderful Australian bush to muster cattle with your guide, Olympian Alex Watson. Pulitzer Prize winning author Jane Smiley called this riding vacation a “rip-snorter." You will be amazed at the scenery and wildlife. Open to beginning and experienced riders.